Pandemic is an exciting game where the players race against the clock to find a cure for any one of several virulent diseases before they get out of hand and destroy the human race. This game may be very thrilling when it is just an imaginary event but a real-life pandemic is a terrifying experience which results in horrific suffering, tragically high death tolls, and economic devastation. History demonstrates that an outbreak of a devastating pandemic is unavoidable and statistically speaking we are overdue for an outbreak. What can you do to prepare to protect your family from the shattering effects of a pandemic? The best way to mitigate the effects of a pandemic is to be prepared to self-quarantine for an extended period of time. You need to stock food, water, medications, and supplies so you can survive without going to the store or anywhere else. Public utilities may be interrupted and you need a backup plan so you can live without electricity, natural gas, running water, and sewer. Preparing to survive a pandemic may seem like an overwhelming task but you should do what you can to prepare. In this post, we will walk you through the steps that we recommend for surviving a pandemic. A pandemic is a widespread epidemic of a contagious disease that affects a high percentage of the population over a large geographic area. It is extremely dangerous because it has the ability to be easily transmitted from one person to another. In our global society, an infectious disease could spread throughout the world in a matter of weeks. 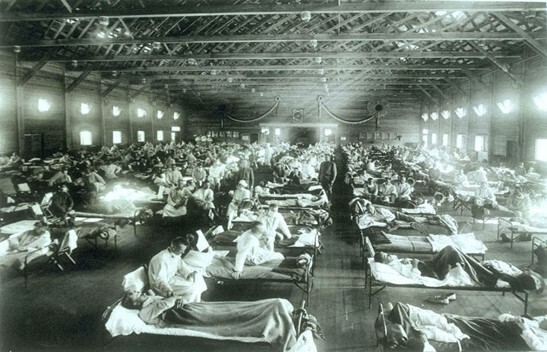 Throughout history, pandemics (or sizable epidemics) have included influenza, smallpox, measles, cholera, leprosy, malaria, tuberculosis, typhus, and others. Let’s review some of these tragedies and the number of deaths they claimed. The Hong Kong Flu claimed 1 million lives in 1968. Asian Flu took 2 million lives from 1956-1958. Spanish Flu of 1918 killed more than 50 million people. Cholera spread killing over 800,000 individuals in 1910 and 1911. The Russian flu of 1889 killed over a million people. Cholera pandemic of 1852 took a million lives. The Bubonic plague (1346-1353) is thought to have claimed as many as 200 million lives. The Plague of Justinian was caused by the bubonic plague and killed 25 million between 541 and 542. In 165 AD, the Antonine Plague killed over 5 million people. We are blessed to have significantly better medical care than was available in the past. However, we also have more deadly strains of viruses evolving not to mention the threat of terrorists mutating and spreading deadly viruses to intentionally wipe out the population. Pandemics are no longer contained by geographical boundaries and spread rapidly due to the global nature of our society. Breeding places include any place with a high concentration of people, such as doctor offices, emergency rooms, schools, large indoor gatherings, airports, churches, grocery stores, and other crowded locations. The sheer volume of critically sick and deceased people could result in overwhelmed hospitals, staffing shortages, and overwhelmed coroner and mortuary services. Infrastructures could be completely devastated due to personnel shortages resulting in disruption to transportation, commerce, public utilities (communications, water, gas, electricity, and sewage), emergency response services, and government in general. We would expect widespread food shortages and civil unrest. Preparing to deal with the effects of a pandemic involve much more than dealing with flu symptoms. It could drastically alter our way of life for a period of time. According to Grattan Woodson, M.D. author of The Bird Flu Preparedness Planner: What it is. How it spreads. What you can do. The flu may be transmitted if by breathing contaminated air or through direct contact with an infected person (i.e. shaking hands or touching a contaminated object like a doorknob or countertop). Depending on the virus, it may remain infectious on surfaces for up to 24 hours but some resilient viruses may remain infectious for up to 7 days. Individuals may be contagious for days before exhibiting any symptoms. The only safe way to ensure that you do not contract the virus is to completely avoid people and anywhere that people have been. The best offense is always a good defense. You will be much better off if you avoid getting sick in the first place. In the event of a serious outbreak of a highly contagious disease, your best course of action is to isolate yourself, and your family, from other people. This means not attending school, work, church, or other activities. In order to do this, you must have sufficient supplies (food, fuel, medication, money, etc.) on hand so that you can stay secluded. A single trip to the store could result in exposing your entire family to a deadly virus. We always encourage working together as a community and helping neighbors. However, during a pandemic, you must exercise great caution. Helping neighbors can be accomplished by leaving food or supplies on their porch when no one is around. Do not risk your entire family by accidentally coming in contact with anyone. If you work in a critical field (health care, utility company, emergency response, etc. ), you may be required to stay at work, or in another location, to protect your family from exposure. What would you do? Where would you stay? Would it be possible to work remotely or to telecommute? Does your employer have a plan in place to prevent the spread of disease if you must go to work? Explore your options now and prepare accordingly. It is likely there will be a temporary breakdown in food delivery, electric, gas, and water services. Public order may break down due to widespread illness and death. Do you have the ability to be completely self-sufficient for a minimum of 3 to 6 months or possibly a year or more? Think about mitigating the risk of a pandemic to your family by implementing the following strategies. It is possible that a pandemic may last for a year or more. Make sure that you have all of the basic necessities stocked in your home so that you can avoid going to the store for an entire year. Do not count on ordering anything online as it is likely that the supply network will be disrupted completely. Consider stocking up on the following items. It is a good idea to wear a mask while caring for a sick individual. However, the best way to prevent spreading germs is to have the infected patient wear a mask. Select a good quality mask that allows the patient plenty of air without struggling. If the patient is unable to wear a mask, provide lots of tissues and a wastebasket closeby for disposal. Used tissues are infectious waste and should be handled with great care. Good hand washing is critically important to reduce the spread of illness. Teach and practice good handwashing skills. Make sure that you have a way to keep your hands clean even with limited water. A handwashing station similar to the one in the photo is a good solution. Stock hand sanitizers for use when handwashing is not possible. Surgical masks, properly fitted N95 respirators, and disposable exam gloves are all important to have in your stash of supplies. We have a friend who has to wear a mask in public due to a serious illness. He prefers to wear the Cambridge Mask N99 Washable Military Grade Respirator when he goes out in public. It is a reusable mask that provides great protection as well as being much more comfortable to wear for long periods of time. Purchase quality medical reference books to help you diagnose and treat illnesses when professional help is not available. I have purchased some of my reference materials new, but I keep an eye out for good reference books at second-hand stores and used book stores. Sometimes you can pick up great treasures at a fraction of the original cost. These are some books that you may want to add to your library. Armageddon Medicine: How to Be Your Own Doctor … in 2012 and Beyond – An Instruction Manual — In this book Cynthia J. Koelker, MD covers symptoms and treatment of everything from burns to fractures to mental illness. This is one of my top picks in my personal prepper library. Textbook of Family Medicine by Robert E. Rakel, M.D. and David P. Rakel, M.D. The 5-Minute Pediatric Consult Standard Edition is a good resource if you have children. Clinical Dermatology: A Color Guide to Diagnosis and Therapy is the perfect illustrated resource for being able to diagnose rashes and skin conditions. The Bird Flu Preparedness Planner: What it is. How it spreads. What you can do. by Grattan Woodson, M.D. is a very interesting read that specifically focuses on the bird flu. Dr. Woodson shares how the bird flu is spread, how to prevent transmission, and how to treat victims in this short paperback book. Physicians’ Desk Reference is an authoritative source for prescription drugs used by medical personnel. It will help you understand the drugs used to treat conditions. Purchase an older version to save money. PDR for Herbal Medicines by Thomas Flemming is the physicians’ desk reference for herbal remedies. This may be especially helpful to have when access to pharmaceuticals is limited. Medical equipment is critical to accurately diagnose the problem and decide the best course of treatment for the patient. You may want to consider adding the following items to your arsenal. Digital Thermometer to accurately monitor temperature. Optic Otoscope for checking inside ears to rule out an ear infection. Stethoscope for listening to the heart and lungs. Blood pressure monitor to monitor blood pressure levels. Blood glucose meter to check levels of glucose in the blood. Pulse Oximeter to check oxygen levels in the blood and pulse rate. It is important that you have all of the basic comfort medications that you may need on hand. The supply of medications may quickly disappear off store shelves, and even if the needed medications are available at a pharmacy, it will be a dangerous place to be with all of the sick people around. It is easy to keep a stock of basic medications that you can pick up at most stores. They are relatively inexpensive but will make a big difference in treating a sick loved one. Stock a supply of pain relievers (acetaminophen, ibuprofen, aspirin, etc.) that are appropriate for members of your household. If you have young children, stock pain relievers designed specifically for them. Note that liquid medications have a shorter shelf life than pills. Meclizine is a great over-the-counter medication to have on hand to control nausea and vomiting. It is always best to use antibiotics under the direction of your medical provider. Talk to your family doctor and explain that you are preparing for a pandemic. Ask about the possibility of getting an antibiotic prescription as well as perhaps a script for an antiviral such as Tamiflu or Relenza to keep on hand. See what his or her recommendation is considering your personal medical history. Your doctor may be willing to write you the prescriptions you need to have these valuable medications on hand. Do not overlook the power of alternative medicines and therapy when treating patients with the flu. You may be surprised at the difference that it can make. Consider stocking up on these. Vitamin C, zinc, and vitamin supplements that help to strengthen the immune system and get you back on your feet quickly. Herbal teas designed for especially for strengthen the immune system and helping to ease symptoms. Some herbs you may want to consider include; elderberry, lemon balm, eucalyptus, peppermint, garlic, ginger, cayenne pepper, catnip, chamomile, turmeric, and cloves. I prefer to serve the tea at room temperature or cool. It is much easier on the stomach than water. Raw honey has antibacterial and antifungal properties. It does a fantastic job treating sore throats and coughs. Check out our post, Honey–Nature’s Perfect Longer-Term Food Storage Food, to learn more about honey and how to store it. Consider alternative medicine techniques such as homeopathy, acupressure, essential oils, and energy therapy. The most critical treatment to make it through a severe case of the flu is to keep the patient well-hydrated. Dehydration is a common cause of death. Think about this. The majority of patients in the emergency room or inpatient in the hospital are given an IV to keep them hydrated. Cholera is largely survivable with enough fluids. Hydration saves lives. Maintaining good hydration can be challenging when the patient has a hard time keeping anything down. Ideally, you want to avoid plain water, juices, or soda for rehydration. Plain water does not have the correct balance of sugar and salt to balance electrolytes. Juice contains a significant amount of sugar and can make diarrhea worse. Soda is water and sugar and is just the wrong concentration of salts and electrolytes. It is best to rehydrate with a fluid designed for rehydration such as Pedialyte for young children, Gatorade, Powerade, or a homemade oral hydration solution (ORS). Doc Cindy also recommends tracking fluid loss and dehydration by taking daily weights of the sick person and replacing the fluid at a minimum of one pint of fluid per pound lost. IV fluid administration is not recommended for the layman, but you may want to consider hypodermoclysis. It is easier and can get as much as 3 liters of liquid into an adult per day. Check out ArmageddonMedicine.net to learn more about how to be your own doctor when there is no other choice. If the patient has become dehydrated due to diarrhea, Dr. Woodson suggests substituting the salt in the recipe with ½ teaspoon of baking soda. Diarrhea leads to loss of alkali. Encourage the patient to drink every few minutes. Help them sip fluids through a straw. You may need to administer the rehydration solution orally drop by drop through a syringe if the patient is unable to drink on his or her own. Go slowly and be patient. Hydration is one of the most important things that you can to save the life of your loved one. Stock a supply of clean drinking water, sugar, honey, salt, and baking soda to make a rehydration solution. You can purchase individual packets of oral rehydration solution powder here. I personally also stock sports drinks such as Powerade or Gatorade that I dilute and use to hydrate sick family members. A supply of oral syringes and bendable straws may help to administer the liquids to sick patients. Stock toilet paper, tissues, paper towels, feminine hygiene supplies, baby wipes, garbage bags, hand sanitizers, soaps, shampoos, cleaners, and everything you may need to take care of your personal sanitation needs. Check out our post, Prepping for Basic Emergency Sanitation, where you will find detailed information on exactly how to prepare. Click here for the products we recommend for emergency sanitation. It will be critically important to keep your home as germ-free as possible during a pandemic. Viruses can live on surfaces for an extended period of time. You will want to disinfect any surface that is touched, such as countertops, doorknobs, remote controls, gaming device handles, keyboards, phones, etc. Dishes should be soaked in a sanitizing solution (2 teaspoons of chlorine bleach or 5% stock solution) for 2 minutes after being washing. Let the sanitizing solution air dry on the dishes. Heated dry or sanitizing cycle on your dishwasher will also effectively disinfect dishes. Chlorine bleach is a good disinfectant for surfaces and contaminated laundry. However, it has a 6-month shelf life that will not outlast the pandemic. We recommend storing calcium hypochlorite to disinfect water, surfaces, dishes, and laundry due to the long shelf life. See our post, Disinfecting Water Using Calcium Hypochlorite, to learn how to create a stock solution for disinfecting using calcium hypochlorite. We cover the use and storage of several disinfectants in, Disasters Literally Stink: How to Tame the Stench. You may also want to consider storing commercial disinfectants such as Lysol Disinfectant Spray to quickly and effectively kill germs on surfaces. This is a time when it is okay to get a little crazy about keeping things clean and germ-free. It is a good idea to stock enough quality food in your home to last at least 1 year to prepare for a pandemic as well as a variety of other challenging events. We recommend storing at least 3-6 months of foods that you eat every day in your pantry. Learn how to build a 90 day supply of foods that you eat every day here. In addition, you should stock 1 to 2 years of basic staples such as wheat, beans, rice, oats, pasta, sugar, and salt. Dehydrated or freeze-dried fruits and vegetables are an important way to supplement these basics. Learn how to build a long term food supply in our post, Long Term Food Storage: Creative Solutions to Build a Critical Asset. You can see our recommendations for suppliers of long term food storage products and shelving here. Incorporate fruit and nut trees, berry bushes, and vines into your landscape. Plant a garden and become skilled at growing some of your own food. Fresh fruits and vegetables will be very important in order to obtain critical nutrition to keep your immune system healthy so it can fight off an invasion of nasty bugs. Public utilities may be interrupted due to a large number of employees who are either too sick to work or who have died. Store as much water as you can. Our post, How to Store Water for Emergencies, will teach you everything you need to know about storing water correctly. It may be impractical to store enough water to last your family for an entire year. Do the very best that you can. Purchase a high-quality filter so you can purify more. Learn how to disinfect water here. Battling the flu can result in large amounts of contaminated laundry. Be prepared to clean bedding and clothing without power or water. Check out our post Crisis Laundry Management for some great ideas to deal with that mountain of laundry when water and power are limited. Lack of a healthy workforce could possibly disrupt our power supply. Be prepared to live without electricity. Cooking without electricity can be a fun adventure if you are prepared with the experience, tools, and fuel to make a delicious meal regardless of the status of the power grid. You can create an amazing feast using a backyard propane barbeque, Dutch oven, Kelly Kettle, solar cooker, or even over an open fire. You may want to review our post, Emergency Cooking: 12 Family Favorites, for some great ideas on how to cook without power. We strongly caution you to exercise great cooking indoors. There are only a few fuels that you can safely use indoors without producing deadly carbon monoxide. Check out our post, Safe Indoor Cooking Solutions, to learn how to safely cook indoors without electricity. Where Can I Safely Store Popular Fuels for Emergencies? A widespread pandemic will likely result in reduced law enforcement and increased civil unrest as people are desperate and unable to meet their basic needs. Make sure that your home is not an easy target for would-be thieves. Conduct a home security audit and challenge members of your family to break into your home, without actually “breaking” anything. That is a great way to find your vulnerabilities. Secure all entrances and exits to your home. Consider adding secondary locks and security doors. Strategically plant thorny bushes in vulnerable areas around your perimeter fence or under windows. Nothing is going to stop someone with a bulldozer from breaking down your front door. The goal is to make your home a more difficult target so that the intruder will choose to move on to an easier one. Do not advertise the supplies that you store in your home. The old saying, “loose lips sinks ships” applies to us now as well as in wartime. Friends and neighbors who learn of our prepping frequently comment that they know where to come when disaster strikes and plan to be knocking on our door. That is an occupational hazard that we can’t escape, but you can. No one needs to know the extent of your preps. Be prepared to share what you can with those in need. It will be important not to come in contact with others and risk exposure to a deadly virus. That doesn’t mean that you can’t leave a package of toilet paper on your porch for a neighbor to pick up or drop a pot of hot soup and a loaf of bread off on a sick neighbor’s porch to provide much-needed nourishment to a sick household. You will need to be very careful that you do not put yourself or your family at risk. We are Christians today and a pandemic does not change our obligation to care for the sick and the afflicted. In our post, Community-Your Best Chance of Survival the principle of a community also applies during a pandemic. Your odds of living through a serious influenza infection is significantly increased when you have someone who is willing to care for you. You will need to decide how to balance protecting yourself, and your family, from contracting a deadly illness and possibly saving the life of another. It may be necessary to defend your family due to the decrease in law enforcement and an increase in desperate people. You will need to seriously consider the best way for you to protect them. In our family, we have chosen to make sure that each of our children is skilled in martial arts and understand how to use a variety of weapons. Our first and best option is always to avoid confrontation whenever possible. We would rather feed a desperate person than cause him any harm. However, we are prepared to defend our family with force if necessary. Go to, Protecting Yourself from the Darker Elements of Society, to learn more. Generally, a strong immune system will give you a better chance at fighting off illness. Strengthen your immune system. Eat healthy foods, exercise, get fresh air and sunshine, and be proactive with your medical care. We just passed the 100th anniversary of the tragic 1918 Spanish Flu outbreak that took the lives of over 50 million people. Reflecting on this heartbreaking event motivates me to want to be prepared to protect my family from a pandemic. You may not be able to accomplish everything on this list. Do the best you can in your individual circumstances. The more prepared you to limit your public exposure, the less your chance of contracting a deadly virus. Exactly how do you prepare to protect yourself and your loved ones from the devastation of a pandemic? The only way to stay safe is to avoid going out into public at all costs. Self-isolating is a huge challenge that takes a significant amount of advanced preparation. You can do this! One step at a time. Each step not only prepares you to survive a pandemic but to be able to thrive as a variety of other challenges come your way. Thanks for being part of the solution! This site is owned and operated by Your Family Ark LLC. 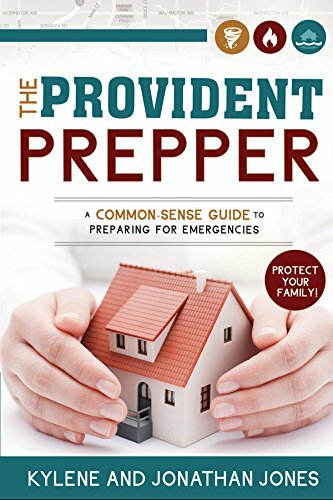 TheProvidentPrepper.org is a participant in the Amazon Services LLC Associates Program, an affiliate advertising program designed to provide a means for sites to earn advertising fees by advertising and linking to Amazon.com. This site also participates in other affiliate programs and is compensated for referring traffic and business to these companies.